The 2018 MLB season was one for the storybooks and even better was the fight to the finish in the NL West as well as the NL Central. The Dodgers pulled it off in their one game playoff against the Rockies and the Milwaukee Brewers showed up big against the rival Cubs. The Wild Card games kicked off the 2018 MLB playoff season with the Rockies ousting the Cubs in 13 innings by a 2-1 margin and the Yankees jumping out to a quick 2-0 lead in the first inning against the A’s. The Yankees never looked back after the first inning and went on to defeat the A’s by a margin of 7-2. The online betting world is a competitive business to say the least and theses guys fight for every players business. They want your business and no doubt at least a few of them have your business! Every in-tune baseball bettor has more than one online bookmaker, most have two or three and many sharp players maintain between 5 and 10. You must do this is order to get the best bang for your gambling buck. The bookies are competitive for a reason; you the player have figured this gambling thing out! Options: Wagering options are a big deal to serious baseball bettors. In order to win money, you must have the ability to diversify, if you are not using all of your wagering options, then you are most definitely losing out on what could be huge potential earnings every week and every game. 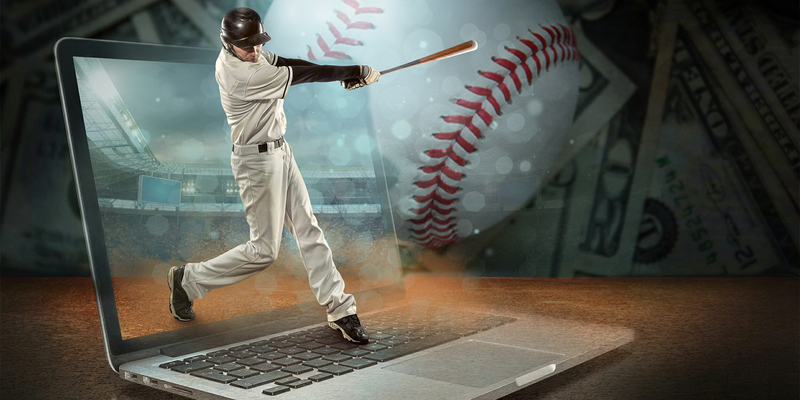 Let’s take a look as some of the most popular baseball betting options. The run line is another very well known way in which to bet on the MLB. A run line in baseball is much like a point spread in football, the big difference between the two, a fixed spread. The spread is always +1 ½ and -1 1/2. Betting the run line is great for one basic reason and that is price. The money is greatly reduced. Example: The Dodgers against the run line are -1 ½ -113 and the Braves are +1 ½ for -107. This means that if you bet on the Dodgers ate -1 ½, you would need to bet $113 in order to win $100. There is a catch; the Dodgers must win the game by 2 or more run, if they win the game by 1 run, you lose. This type of betting is even more fun and it will endear you to all 9 innings of the baseball game! Betting the total combined runs between the two teams is another great way to bet. What you are doing is betting against what the oddsmakers/lines movers, have set for a total of combined runs scored for the course of that baseball game. You may either play under or over the total. Example: Dodgers/Braves Game #2… the Total- O/U is 7 (Over 7 is Even Money) (Under 7 is -120). The trick to betting any of these methods is handicapping. You must know the teams and know the probabilities. Without proper knowledge of the teams abilities and the pitchers; you might as well take your ball and go home. Handicapping is this important. There are obviously man more ways in which to bet on the MLB Playoffs and what you must do now it to jump online with a great sportsbook and check out their “How to Bet MLB Baseball” section. Learn from them, soak it up and apply what they have to say. This can only help you in the pursuit of making money while betting on baseball.